Vocational schools may also be called trade schools, career colleges, or technical colleges. Their main purpose is to train students for skills-based careers through a combination of hands-on learning experiences and traditional classroom training. Vocational students tend to earn certificates or associate’s degrees; their programs last up to two years. For some professions, students may have to take licensing tests or complete an apprenticeship before starting work. If you know that you want to spend your life working in a certain field, vocational education may provide a direct route to your career. Vocational education trains students to become masters in their trades and directly prepares them for a job following the completion of their education. Programs are available in any number of fields, including accounting, nursing, and plumbing. These programs are typically shorter and less expensive than four-year colleges. Many are directly related to a career. You can enter the workforce and begin your career sooner if you choose to pursue vocational education. Picking the right school comes down to more than whether it offers a program you’re interested in attending. Find out whether there are resources to help you find a job after graduation, class schedules and teaching styles that will work with the way you prefer to learn, and facilities that reflect the newest technologies of the field. You’ll also want to sneak a peek at graduation rates and financial aid statistics to make sure students are going on to succeed. 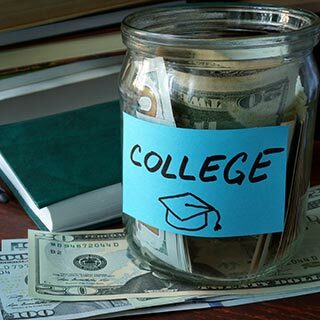 Vocational students are eligible for federal financial aid, so your best bet at a healthy financial aid package comes from filling out the FAFSA. Besides federal aid, you may have access to state or regional financial aid or receive scholarships or grants from your school. Before turning to private loans, apply for private scholarships, many of which are aimed specifically at vocational students. Though not always necessary, apprenticeships are offered for many trades and consist of a combination of on-the-job training and regular coursework. Apprenticeships differ from a school-based vocational education in that apprenticeships typically last longer and apprentices are paid for their work. Finding a registered apprenticeship ensures that your training will be accepted nationwide.